Distinguish between virtualization, automation and cloud computing. Virtualization is what VMware has been doing for years with vSphere and its complementing technologies. This is nothing new to anyone preparing for this exam and if it is then I hate to tell you this but this exam isn’t for you. This can be done through multiple technologies and mechanisms like VMware’s vCenter Orchestrator, vCAC,vFabric Application Director and third party tools like Puppet, Razor and IBM’s Virtualization Automation solution. Without true automation you can’t have a Cloud. Resource pooling: The provider’s computing resources are pooled with virtual resources dynamically assigned and re-assigned according to consumer demand. Rapid elasticity: Capabilities can be rapidly and elastically provisioned, in some cases automatically, to quickly scale out and be rapidly released to quickly scale in. Measured service: Cloud systems automatically control and optimize resource use by leveraging a metering capability. Resource usage can be monitored, controlled, and reported providing transparency of the utilized service. A cloud must be built on a pooled, virtual infrastructure. Pools include not only CPU and memory resources but also storage, networking, and associated services. The cloud should provide application mobility between clouds, allowing the consumer to enter and leave the cloud easily with existing workloads. The ability to use existing consumer tools to migrate workloads to or from the cloud is highly desirable. Mobility of workloads between clouds requires cross-cloud resource management. The cloud should be open and interoperable, allowing the consumption of cloud resources over open, Internet-standard protocols. Access to cloud resources does not require any other specific network protocols or clients. Cloud consumers should pay only for resources they consume or commit to consuming. The cloud should be a secure, trusted location for running cloud consumer workloads. Cloud consumers should have the option and the ability to protect their cloud-based workloads from data loss. Cloud consumers are not responsible for the maintenance of any part of the shared infrastructure and do not need to interact with the cloud provider to maintain the infrastructure. They are not responsible for storage and network maintenance, ongoing cloud infrastructure patches, or business continuity activities. The cloud should be available to run high-availability workloads, and any faults occurring in the cloud infrastructure should be transparent to cloud consumers as a result of built-in availability, scalability, security, and performance guarantees. Distinguish between private, public, hybrid and community cloud computing. Private cloud: A private vCloud (also known as an internal vCloud.) operates on private networks, where resources are accessible behind the firewall by a single company. In many cases, all the tenants share one legal entity. For example, a university might offer IaaS to its medical and business schools, or a company might do the same for various groups or business units. The private vCloud can be managed by the enterprise and hosted on premise or operated on a dedicated infrastructure provided by a vCloud service provider or systems integrator. In any case, a private vCloud must conform to the organizational security constraints. Public cloud: A public vCloud offers IT resources as a service through external service providers and is shared across multiple organizations or the Internet. This can be viewed as a vCloud infrastructure that is operated by one organization for use by multiple, legally separated organizations. A public vCloud is provisioned for open access and might be owned, managed, and operated by one or more entities. A public vCloud provider might also support a private, community, or hybrid vCloud. Hybrid cloud: A hybrid vCloud combines the benefits of the private and the public vCloud, with flexibility and choice of deployment methods. A hybrid vCloud consists of multiple, linked vCloud infrastructures. These distinct vCloud infrastructures can be private, community, or public, they but must meet a set of requirements defined by the providers and agreed to by the consumers. Connecting these vCloud instances requires data and application mobility as well as management. When load-balancing between vCloud instances (cloud bursting), use a consistent monitoring and management approach when migrating an application or data workload. Community cloud: A Community vCloud is a specific public vCloud use case where the cloud is shared, and typically owned, by a group of organizations with a common set of requirements. In many cases, the organizations also include some level of legal separation. Community vCloud resources are shared, with some parts under central control and other parts with defined autonomy. A vCloud built for government, education, or healthcare might be an example of a community vCloud. A community vCloud can be offered by a traditional service provider, by a member of the community, or by a third-party vendor and hosted on one or more sites. It can be placed on-premise at one or more of the organizations’ sites, off-premise at a vCloud provider site, or both on- and off-premise. Analyze a customer use case to determine how cloud computing can satisfy customer requirements. Given a customer use case, determine the appropriate cloud computing model. This is one I feel you can only do once you have a firm understanding of the capabilities of all the different Cloud offerings and how each of them meet varying requirements and also have differing constraints/disadvantages. 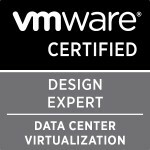 Categories: Automation, Certifications, VCAP, VCDX, Virtualisation | Tags: Certifications, design, VCAP5, VCDX5, Virtualisation, virtualization, VMware | Permalink.